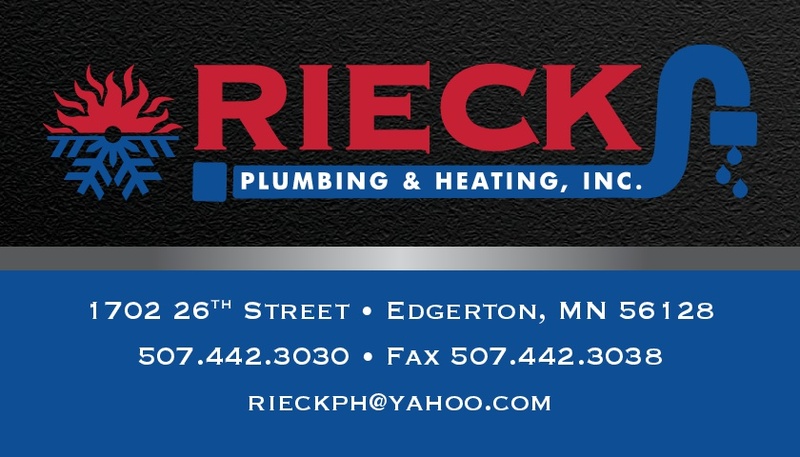 Edgerton, MN Water Heater Replacement | Water Heater Replacement Edgerton, MN | Rieck Plumbing & Heating, Inc.
Aside from poor performance and high energy costs, many potential dangers can result from improper water heater installation. That's why choosing the right plumber can make all the difference. If you need a new water heater, turn to Rieck Plumbing & Heating, Inc. to handle the job from start to finish. When you need water heater installation services in Edgerton, MN, Rieck Plumbing & Heating, Inc. is the team to trust. Call us today to schedule an appointment and discuss your options.